Though I did post some daily updates during Bout of Books, it has been over a month since I last posted a collective report of what I've been reading. Between my dad's stroke (which occurred the day before Easter and has resulted in a lot of stress and phone calls) and my lingering morning sickness (I'm 19 weeks, so hopefully it will pass soon?) I just haven't had the time to sit down and gather my thoughts on more than a book or two here and there. But I have been reading a lot, and today I'll just quickly share the books I've gone through in the past month. My church small group has finished reading The Lamb's Supper by Scott Hahn. I liked it well enough, though I did end up rushing through the end of the book since I missed a couple of meetings and didn't want to return it to the library without finishing. I didn't know much about the book of Revelation before reading it, and I do find myself thinking about this book during Mass. 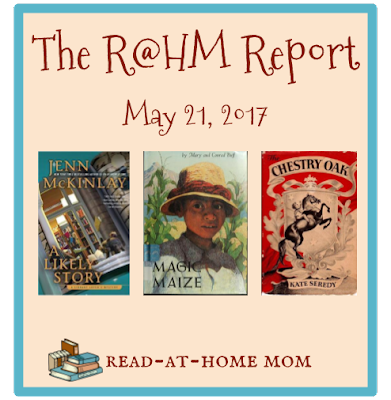 Next on my to-read list are two older cozy mysteries: A Novena for Murder by Sister Carol Anne O'Marie and The Cat Who Blew the Whistle by Lilian Jackson Braun. 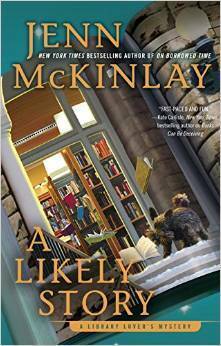 I also have a digital ARC of About a Dog by Jenn McKinlay which I hope to get to fairly soon and an ebook edition of Murder on the Orient Express by Agatha Christie, which I will probably have to borrow again another time because it's so long. On a whim, I also started reading a digital review copy of The Speed of Life by Carol Weston that I downloaded from Edelweiss. It's a good, quick read, but probably not something I'd approve for my own kids. If I do finish it, I'll explain it all in my review. I'm also really hoping to start reading my digital review copy of Almost Paradise by Corabel Shofner very soon, since it comes out in July. I love the Cat Who series! Such fun mysteries. 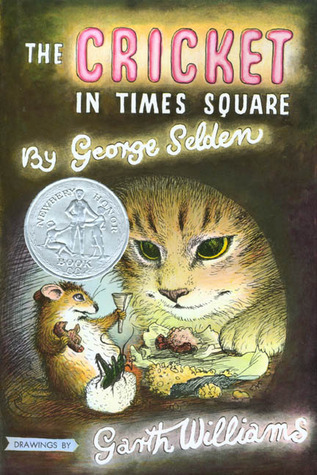 When I taught fourth grade, The Cricket in Times Square was always the first book I read aloud to my students. They always loved it!